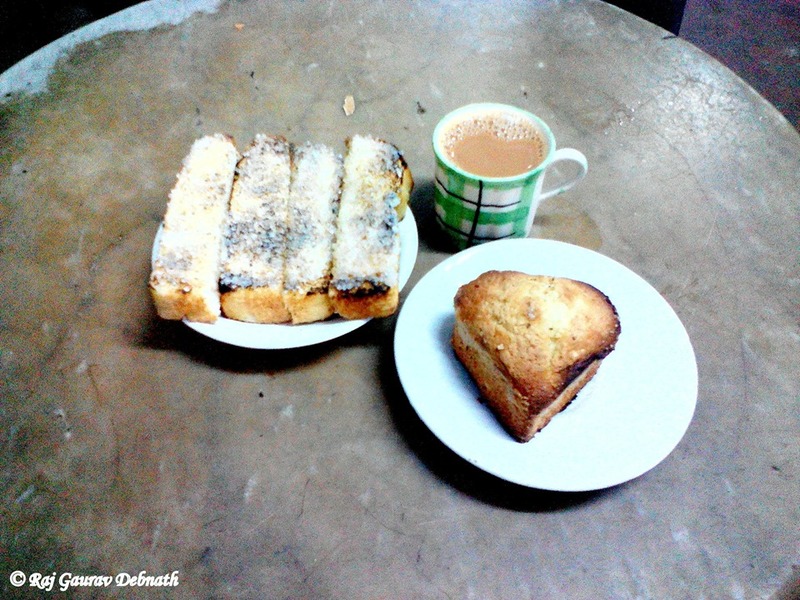 Yesterday evening I went to Favourite Cabin after a long time. Clicked some pics there. 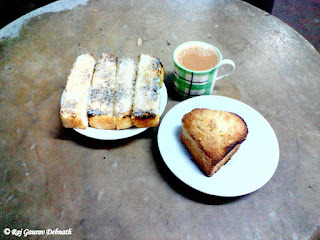 Ordered a bread toast, paan cake and tea. 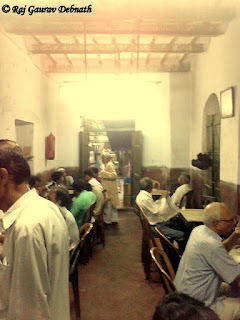 The place was mainly full of old-timers. Only one table was occupied by young students. 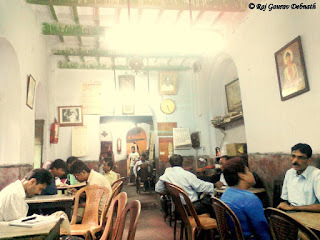 Some of the old regulars were reading the evening newspaper while others were engaged in Adda. This Cabin has an old world charm. The tables here have white marble tops. There are both old wooden and plastic chairs available. 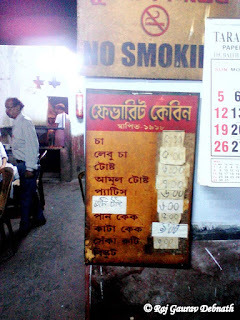 The address of this Cabin is 69B Surya Sen Street. After crossing Paramount, just take the left turn off College Square, the Cabin will fall on your left side. There are no brightly lit glamourous signboards outside. The door is always open throughout the day. This Cabin was established in 1918. 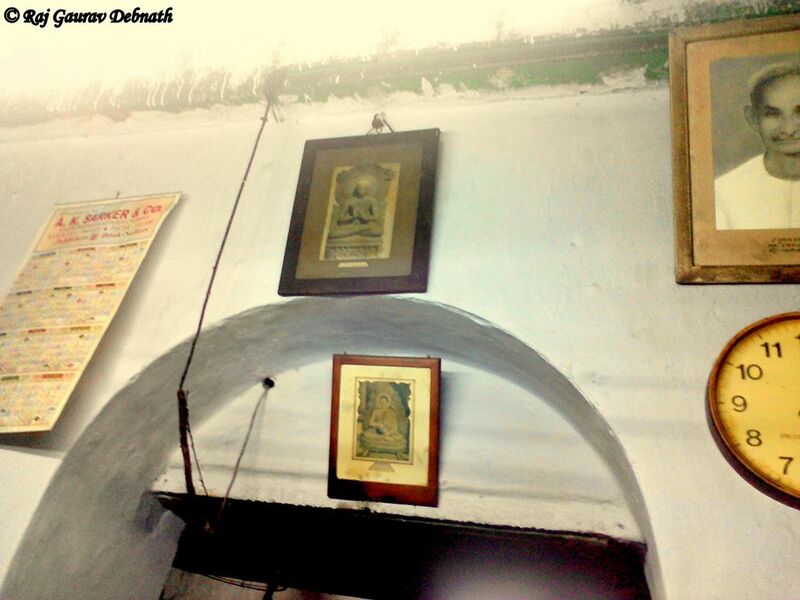 This Cabin was founded by Gaur Chandra Barua and his younger brother Nutan Chandra Barua. The Baruas had moved to Calcutta from Bangladesh. 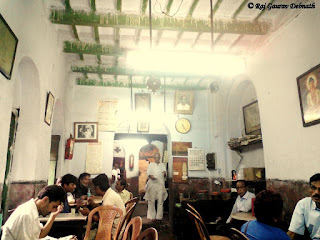 Initially the shop was set up at a place called Mirzapur Street, adjacent to College Street area and later on it shifted to its present location. Sitting inside the Cabin, I was thinking about all those revolutionaries and freedom fighters who used to come here regularly and used to hold some of their secret meetings here too. 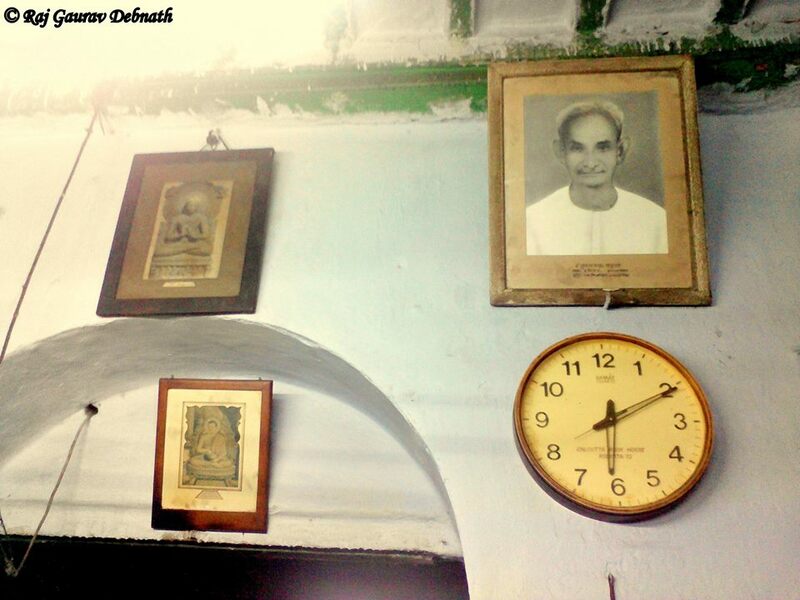 The founders of this Cabin were supporters of the Swadeshi Movement. Master Da Surya Sen had also visited this Cabin quite a few times. The Kallol group used to assemble here almost daily. I was imagining Gokulchandra Nag, Achintya Kumar Sengupta, Premendra Mitra, Buddhadeb Basu and Kazi Nazrul Islam sitting around a table and engaging in heated debates and discussions. Legend has it that Netaji Subhas Chandra Bose, when he was a student of Presidency College, was another regular at Favourite Cabin. 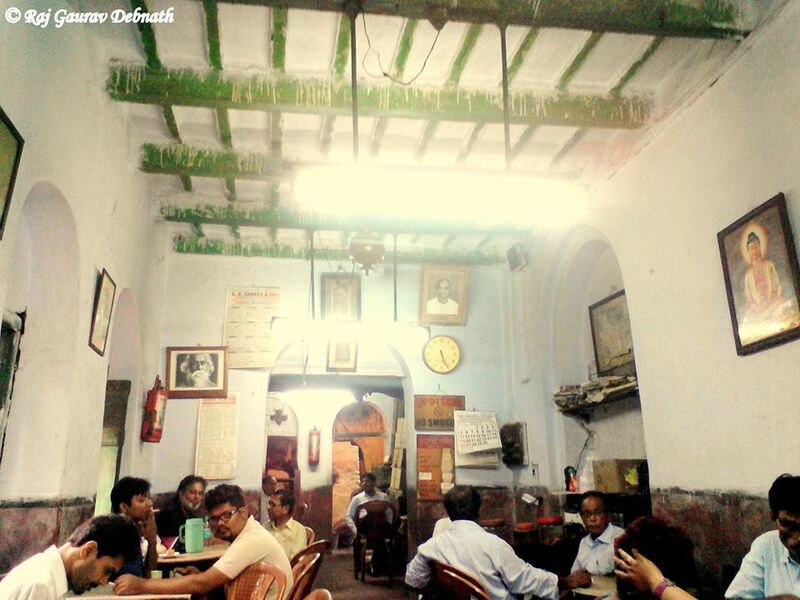 He used to come and listen to Kazi Nazrul Islam’s poetry and songs, as the poet sat at his chosen spot, Table No. 4. 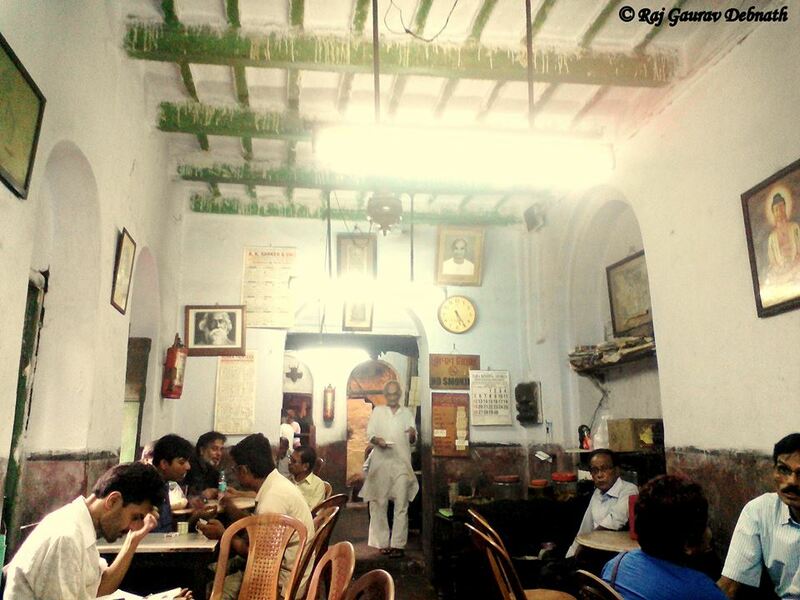 Soumitra Chatterjee, before he acted in Apur Sansar, was also a regular at this Cabin. Many other noted personalities have visited this Cabin over the years. The place has not changed much over all these years. The old timers love the way it was and it still is. 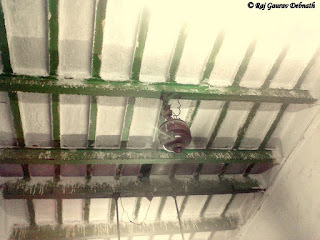 Here are some pics which I clicked.